Be truly glad. 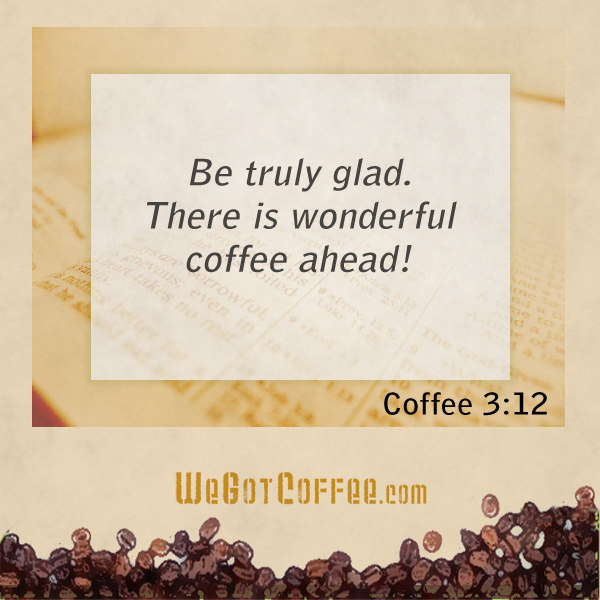 There is wonderful Coffee ahead, even though you must endure many trials for a little while. Is that an ACTUAL quote from the bible? Yes, if you are reading the Coffee Bible! A coffee quote about joy.